Toshiba has announced the TG02 handset, a capacitive touchscreen Windows Phone using the Windows Mobile 6.5 platform and sporting a 1GHz processor. 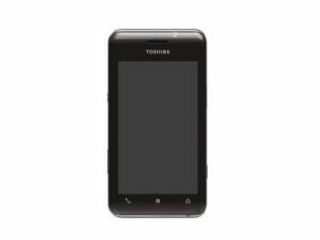 The Toshiba TG02 has a 4.1 inch capacitive VGA screen and just slides in under the centimetre thickness at 9.9mm. Toshiba believes that a newly designed '3D' menu system on the handset will boost the phone's popularity billing the phone as an 'ideal device for users who demand high-quality entertainment on the go'. "An internal 1GHz processor also makes the TG02 an ideal device for internet browsing, enabling users to quickly access and load websites or stream content." The TG02 is obviously a successor to the Toshiba TG01, although the phone will apparently sit alongside its brother in the current range from the company. There is no UK release date given for the TG02 yet or a price for the British market.